Red 4 laser gloves. Great for any occasion (party, birthday, promotional activities). You can buy online for a special price. 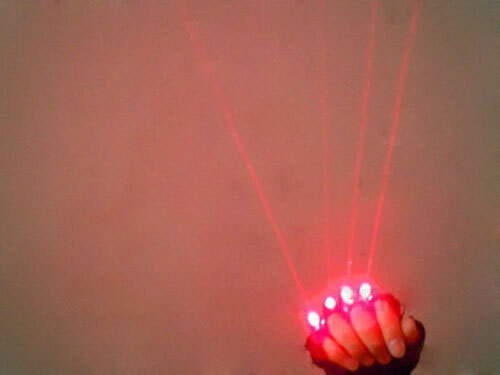 Red laser gloves for each person who wants to be dazzling in every situation. 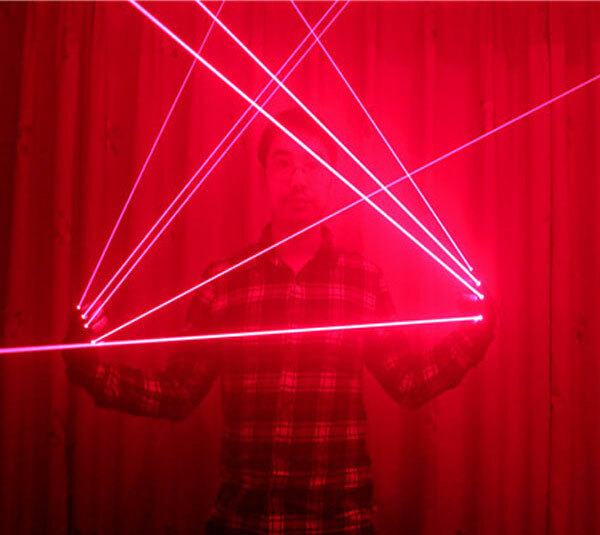 The glove contains 4 powerful lasers in red colour. 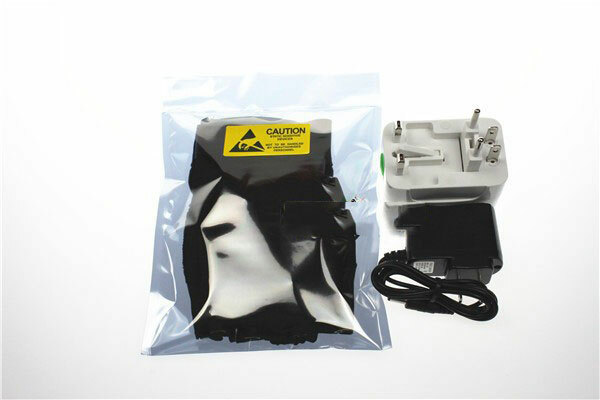 It is characterized with high brightness and stability of the rays. 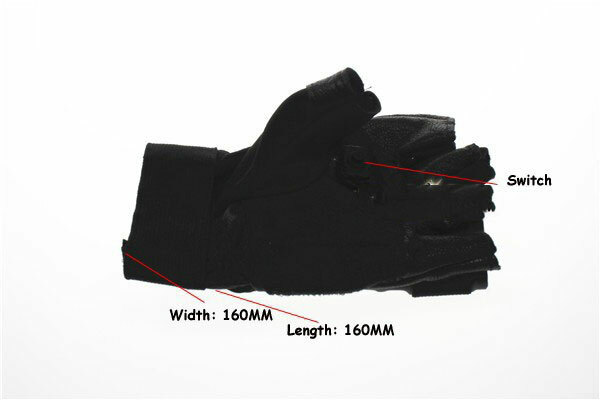 There is installed switch on the glove to activate the laser. These gloves are designed to move your fingers easily. 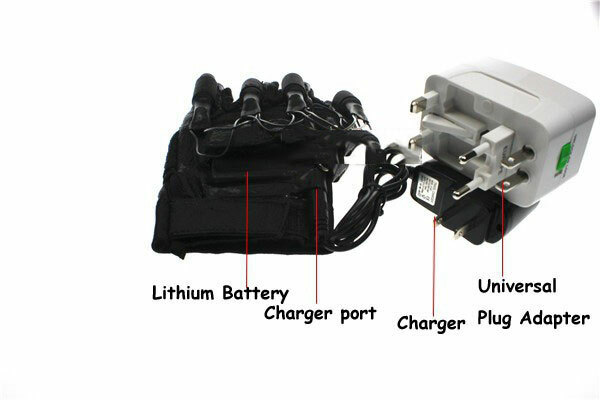 The glove take energy from built-in battery with high capacity and long life. This battery is rechargeable with the charger.